What is the Friends ring on Apple Watch, you ask? Anyone remember when BlackBerry smartphones let you assign a speed dial to your favorite contacts? You could assign a contact to a letter on your phone’s keyboard, such as “K” for “Kellie,” and it immediately called the person for you. Genius. Apple Watch offers something similar — nay, better — that also pulls up those nearest and dearest to you so you can contact them in a number of different ways. Apple calls this Friends. Simply press the Side button to call up this list anytime, which is presented as a ring (or wheel, if you prefer) so you can scroll through and select someone to reach out to. Before you can call up your Friends ring on Apple Watch, however, you need to assign up to 12 people from your iPhone’s Contacts. Open the Apple Watch app on your iPhone and then select My Watch. The My Watch tab is in the lower-left corner of the app. 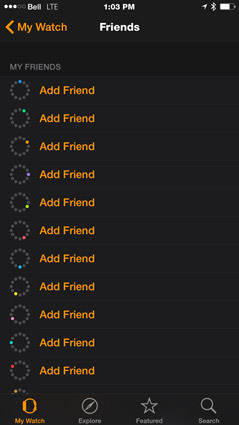 Tap Friends, which opens a screen, that lets you add up to a dozen people to your Friends ring on your watch. Don’t worry if you don’t want to add all 12 right away. You can always add more later on or even replace someone if you like. Tap Add Friend and then use the search window to find people in your Contacts. 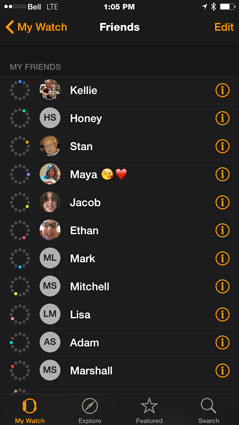 When you’re done, simply leave the app and these contacts are automatically synced to your watch’s Friends screen. 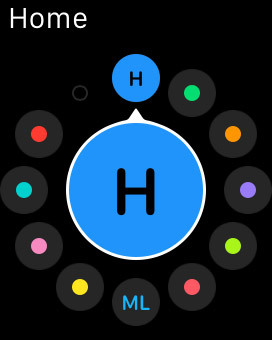 Tap the Side button on the side of Apple Watch — no matter which app you’re in. This pulls up your Friends ring, which shows you people you like to communicate with. Twist the Digital Crown button to select someone to contact. Twist the Digital Crown button up and down to navigate around the ring — clockwise or counterclockwise, respectively. You don’t need to press the Digital Crown button to select the person. Just wait a second and you should see an expanded view of his or her initials and/or face. To see a person’s face in your Friends ring, you need to have a photo of him or her in your Contacts app on your iPhone. 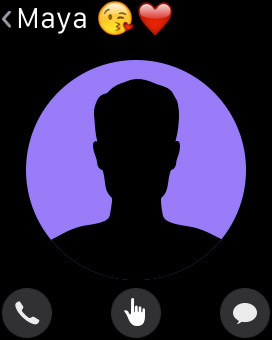 Select how you’d like to contact the person: Call, Message, or, if that person has an Apple Watch, via Digital Touch. The small icons are a phone (to call), a speech bubble (to message), or a hand with forefinger extended (Digital Touch). The Friends screen is a fast and convenient way to initiate a connection to a dozen of your closest friends, family members, or coworkers. You might also wonder how you can send email to these people.